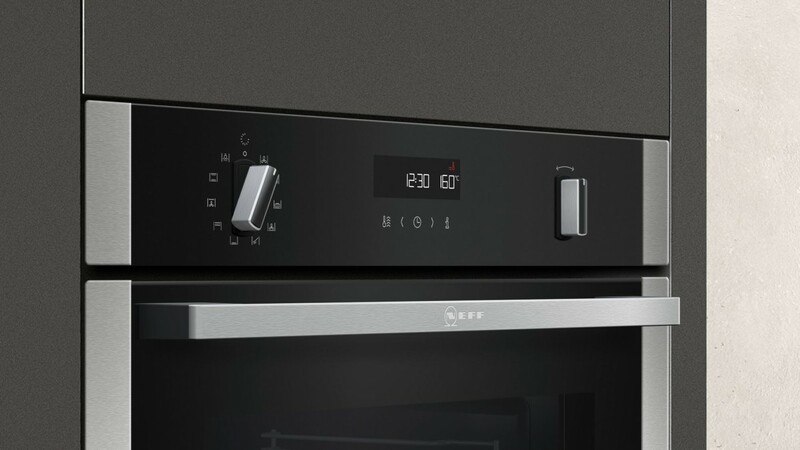 With its electronic control panel, silver temperature display and EasyClock, the NEFF B2ACH7HN0B Single Oven is extremely simple and clear to use. Set and check cooking functions and times without a problem for excellent results every time. Enjoy cooking time reductions of up to 35 to 40% with the CircoRoasting function, as well as handy defrost and rapid heat functions. The automatic on/off programmer permits economical and convenient oven power setting to fit in with your lifestyle whilst saving power by not being on unnecessarily. 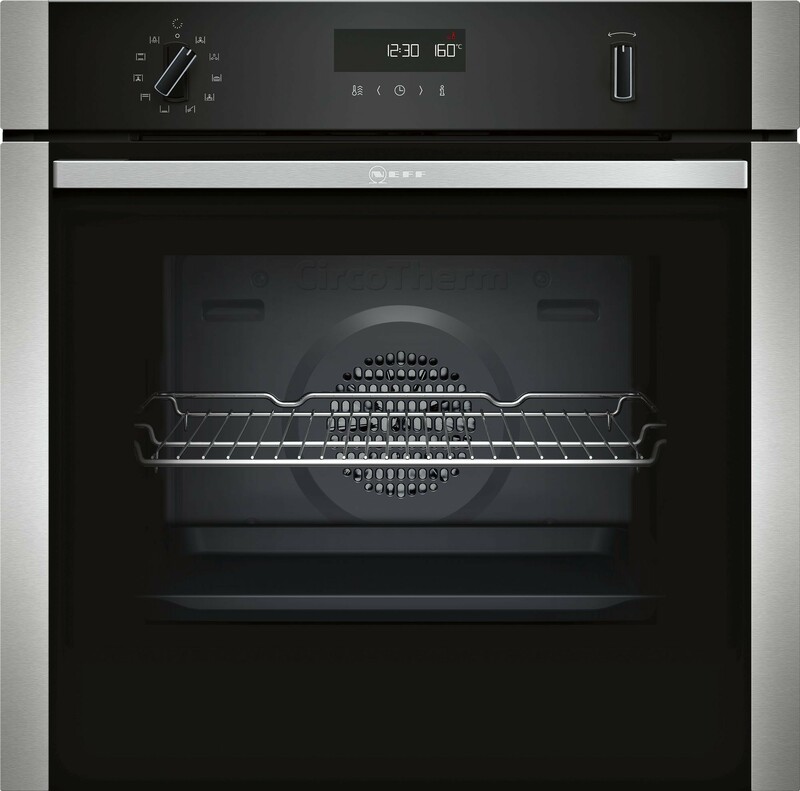 The B2ACH7HN0B also has a quadruple-glazed full-glass inner oven door that retains and reflects heat so your dishes are thoroughly, evenly and deliciously cooked. Four shelf positions give maximum cooking flexibility and the durable QuickConnect shelf supports will withstand even the heaviest dishes and ingredients. With an energy efficiency rating of A you can save money on your household bills. The pyrolytic cleaning function means this Neff single oven practically cleans itself, with spillages and food particles being burned away when the oven is heated to a certain temperature. With its enamel interior coating, this oven can be easily wiped and swept down following pyrolytic cleaning for swift and sweat-free maintenance. Safety features include a heating-up indicator, residual heat indicator, safety switch-off and a door lock function during pyrolytic cleaning. The oven controls are also fully lockable to prevent unwanted settings changes and operation.